Finesse Mali Cloth is a stylish back drop on any surface. Beyond the traditional colorway, persimmon and navy join the palette. 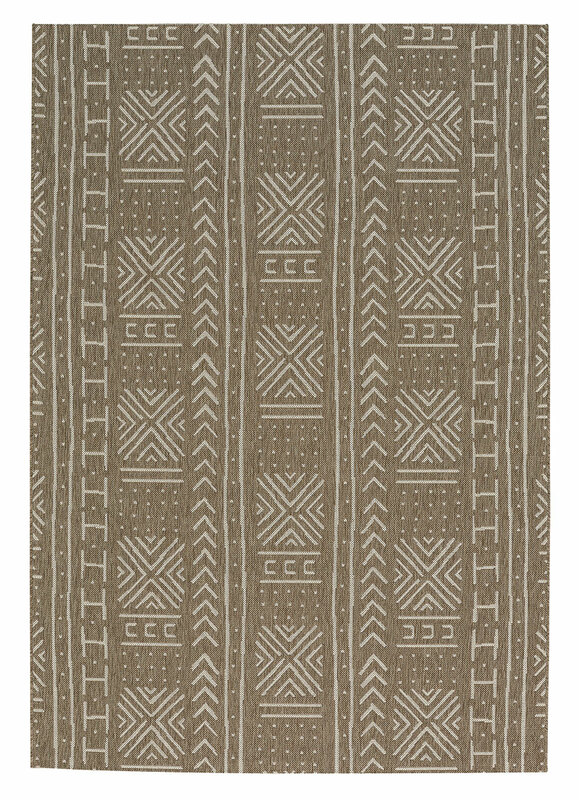 The Mali Cloth style, a member of the Finesse Collection, is a olefin, outdoor rug design from Genevieve Gorder and Capel Rugs. Finesse-Mali Cloth rugs have a machine woven construction.